Josh's dad posted the picture above on facebook. 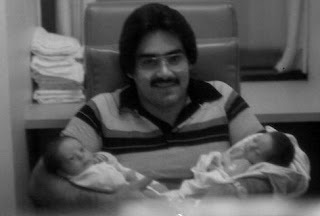 It's Josh's dad with him and his twin brother after they were born almost 26 years ago. I think it's one of the most precious pictures I've ever seen of the three of them together. 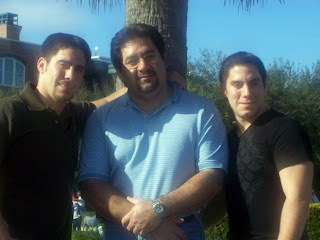 The picture below is the three of them in January 2009.